The other day I got a comment from someone on my Activerain lender blog, of course when you get a comment you like to go check out what they are doing. He is an Eco Broker, for those of you who are new to that term, it means that he specializes in green real estate. 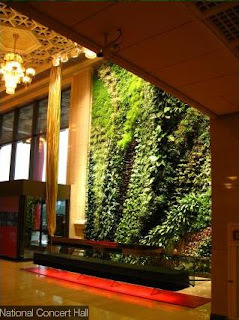 Anyway, he had a great post about vertical gardens. I just thought it was the coolest thing! When I was ditching college backpacking through Europe I went to Monaco, you know to see where James Bond hung out, and the most intriguing thing besides the immense amount of wealth were the rooftop gardens. So many buildings had beautiful rootop sanctuariers, and I just thought it brought so much to that city. 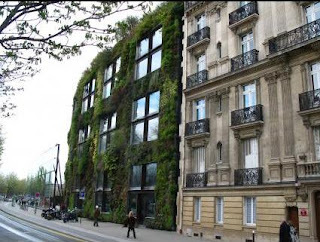 You have to check out this amazing vertical garden architecture. I would love to see this become the norm for our homes and communities!! Now I don’t know anything about the logistics, types of plants, upkeep, maintenance issues, but I know that when I scrolled through the pictures on Patrick Blanc’s website I wanted to be there. 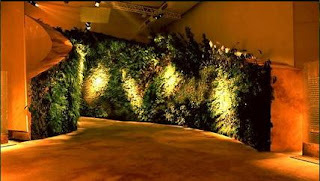 I wanted to sit and have lunch in one of those buildings, I wanted be in my home and look at a beautiful garden wall. What could be more Zen or Fung Shui than that, really what could more uplifting than that! The only potential problem I see is my lack of a green thumb, I can’t keep a cactus alive…but I am sure there is a way around that! !